Even if you’ve been to fashion marketplace events like MAGIC/PROJECT countless times, it’s still exciting and energizing to get a sneak peek at the new collections from more than 300 fashion brands from all over the world. As someone who is reasonably caught up on the latest men’s fashion trends, I jumped at the opportunity to do just that at last week’s PROJECT New York show. 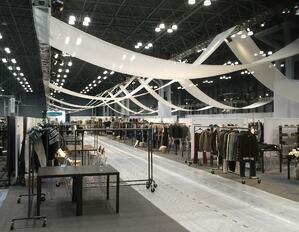 Aside from getting a great deal on a sport coat, the highlight of the show for me was speaking with the designers. Even though they came from diverse backgrounds—seasoned vs. just starting out, small vs. established brands, Italian luxury vs. Southern charm—they all had the same objectives: get noticed, get past the cut. These standout items help established brands like Michael Bastian get one more item past the cut with retailers. For less established brands, it’s about making the cut period. The real challenge, for the brands I spoke to, is carving out a niche of customers and going all-in on them. At the “Breakfast with the Disruptors” panel event held on the show floor, Joe Ferrara, Co-Founder and Co-CEO of Resonance Companies, called these niches “micro-communities.” He said that brands really need to focus on identifying these micro-communities of 10 to 100 thousand people and learn as much as possible about them. “If you don’t do it, I guarantee someone else will,” he said. Identifying and sticking with a micro-community can be a difficult proposition for emerging brands scrapping to secure deals wherever they can. But finding and nurturing the perfect intersection of brand identity, retailers and a micro-community ensures that more of the products you design will make it past the cut. Click here for a detailed review of the "Breakfast with the Disruptors" panel.